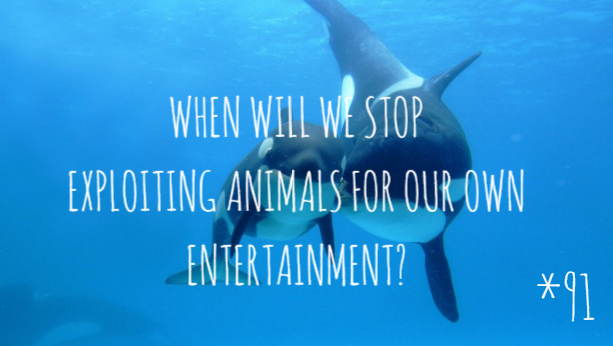 When will we stop exploiting animals for our own entertainment? In the past week or so two separate stories detailing scenarios where animals were mistreated for the sake of human entertainment. One story depicted a scene in Florida where a shark was forcibly taken from the water and pinned down in the sand while people posed for selfies with it. In one of the photos it’s clear that the animal had been struggling, the sand around its body has been churned and tossed about. According to many articles containing quotes of people present incident, the shark was dragged roughly back into the sea and struggled to swim after the ordeal. In Argentina, another horrifying story surfaced about a week ago about a dolphin calf that was reportedly taken from the water, photographed in multiple selfies. The young animal supposedly overheated and died as it was kept out of the water too long. I was horrified reading about it. These stories should disgust you. They certainly upset me and I found myself sitting for a while thinking over the contents of each story. Both animals had been taken against their will from their natural habitats and then were subjected to photo after photo while they struggled to breathe. For a moment, think of yourself in this situation, a scenario where you are taken from a place of comfort, subjected to the view of a foreign species, flashing lights and loud noises. Yes, you’d be frightened. You’d be in pain and your one desire would be to get out of there. But you can’t tell these people no, because you don’t speak their language. Or do we? When have animals ever held us captive and paraded us around for sport? How many of us have been captured, taken from our own natural habitats and shoved in a tank, a metal cage or had a muzzle shoved on your face? How many of you have been made do something unnatural? The most common answer is no, you have not been forced to do any of the above. 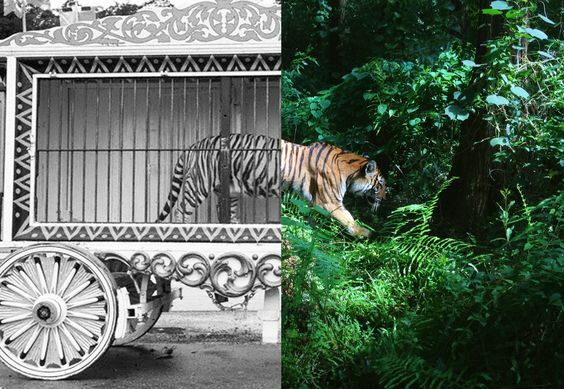 This is the life of an animal in a travelling circus, (some of these have been known to travel Ireland at one point), a zoo, an orca in SeaWorld, or a wild animal forced to pose for photographs. Animals are forced to do silly acts just to entertain a group of shouting and jeering humans. Please don’t tell me they enjoy these tricks; they really really don’t. Most of these animals are starved until they do a trick properly or punished with cattle prods. According to circus trainers this way the animal “learns” to perform properly when really they learn to expect hunger or pain should they do a trick wrong. I despair every time I read another story of animal cruelty disguised as entertainment. If you’re wondering why you sometimes read stories where a circus animal kills its trainer? It’s because sometimes it gets all too much for the animal. In these cases, the animal is usually euthanized. Think of the Blackfish film, a documentary which highlighted the cruelty that killer whales are subjected to in SeaWorld, a multi-million chain of theme parks. 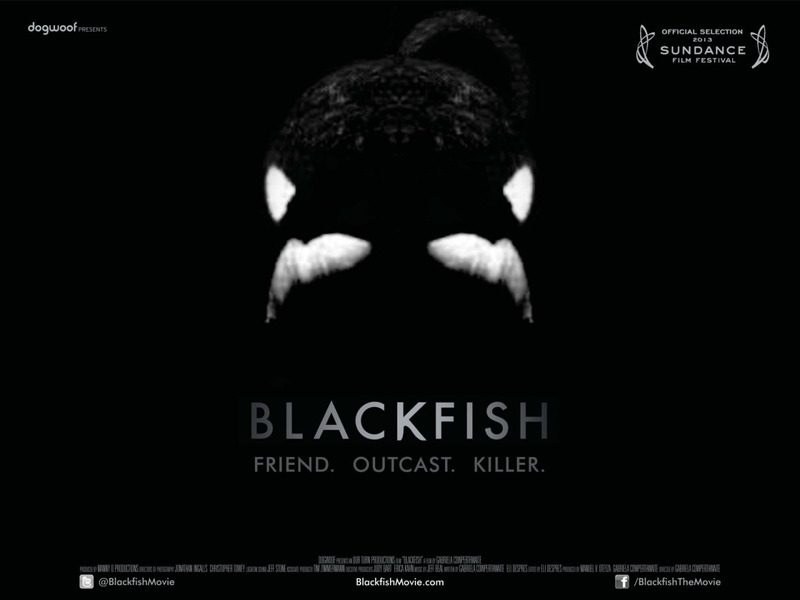 One of the prominent stories within the film is that of Tilikum, a large orca who made the headlines for killing his trainer Dawn Brancheau in 2010. The backstory of the orca is as follows: the animal was captured from his pod as a young whale and was trained to perform in shows. After some time with SeaWorld, Tilikum began to act up and after killing Ms Brancheau was subsequently confined to small tank on his own. Tilikum was born a wild animal, used to the open seas. His home is a small tank. Tigers, lions and elephants are used to open jungles or plains to roam freely. It’s instinctive. They are not designed to remain cooped up all day. This is why these animals “turn rogue”, because the lives they live are so horribly different than the lives their wild counterparts are living. 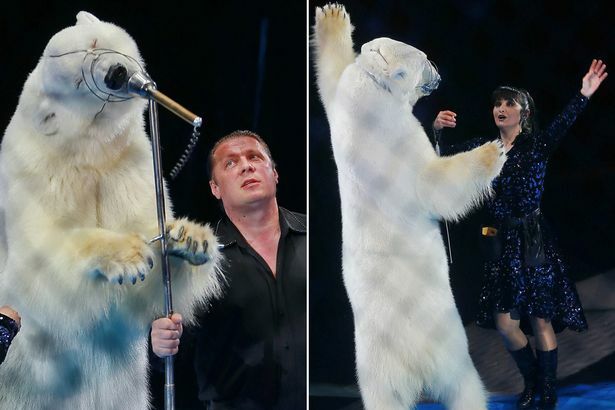 Ricky Gervais shared a link on his Facebook page, depicting a polar bear in a Russian circus. The beautiful animal had a muzzle strapped around its mouth, and the trainers were forcing it to “sing”, and “dance” on its hind legs. Yes, it makes people laugh. Yes, it makes money. But have you ever thought about the methods used to train this animal to this trick? Why not put yourself in the animals’ shoes? Why do we forget that animals feel pain too? Just because we speak different language? It’s obvious that we are the dominant species, we have crafted this earth into the world WE want to live in. we rule the world, whether I like it or not. But what gives us the right to lock these animals up so that we can watch them? But there comes the concepts of breeding and preservation. Keeping certain species of animals in captivity to preserve and protect the species is something entirely different. In that case it would almost be something I would support. But it's not totally black and white as can a pen in a zoo truly emulate the outside world? Obviously not. Yet, we need to ask, can a vulnerable and endangered species survive in the wild without human intervention? In this day and age of poachers, it's hard to keep a species within healthy numbers, let alone stop them from extinction. I don’t see the likes of zoos dying out any time soon. But I am begging you, please don’t pay money to see an animal in a circus, no doubt their living conditions are less than satisfactory. Remember the best animal to watch is one in the wild.